Dr. Carlos Flores was born in Tegucigalpa, Honduras. He received his Bachelor of Science degree in Mathematics from the University at Albany, State University of New York and his Doctor of Optometry from the Pennsylvania College of Optometry. 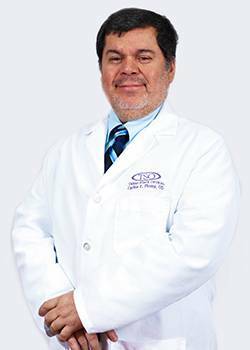 As well as being a Therapeutic Optometrist, Dr. Flores is an Optometric Glaucoma Specialist. He provides comprehensive vision examinations including glaucoma, cataract, and retinal evaluations. Dr. Flores has received the Gift of Giving Award for his dedication to serving students and families and for going above and beyond to make a difference in the community and in the State of Texas, from State Representative Castro. He was also the 2012 recipient of the NISD Outstanding Partner of the Year. In his spare time, Dr. Flores enjoys spending time with his wife, and three children, and travelling.